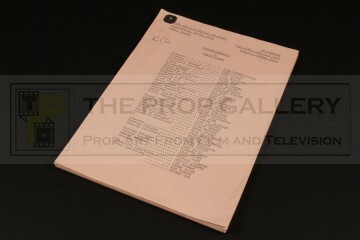 An original schedule used in the production of the long running BBC science fiction television series Doctor Who. 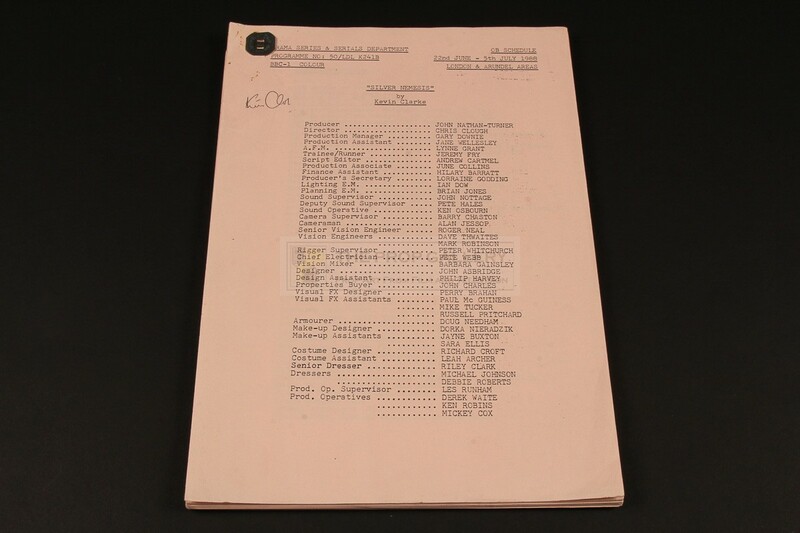 From the 1988 25th anniversary serial Silver Nemesis starring Sylvester McCoy as The Doctor this is an original OB (Outside Broadcast) schedule issued to crew members during the production. 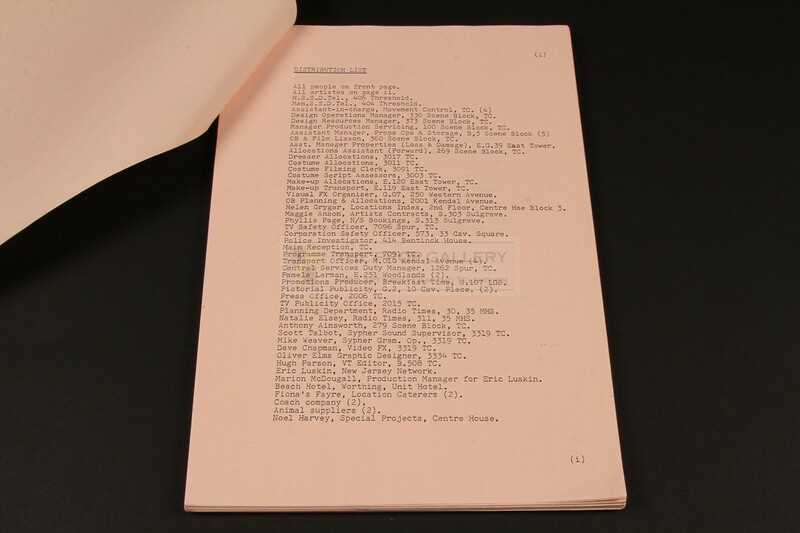 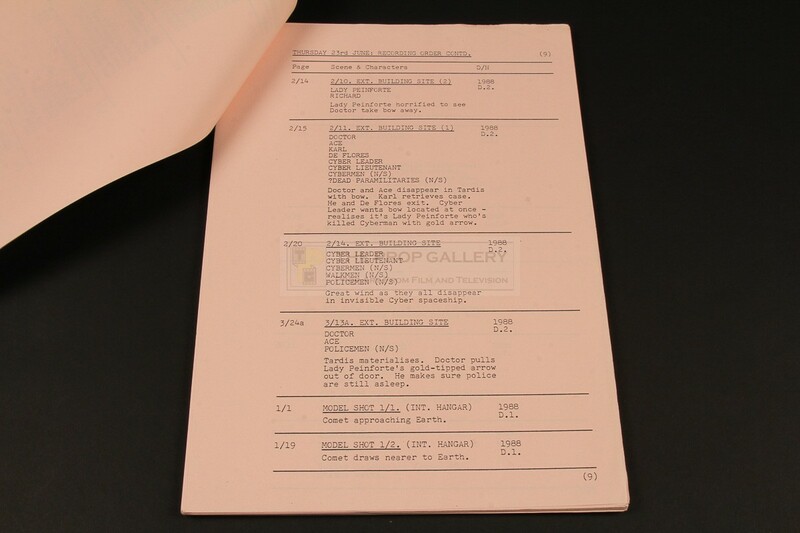 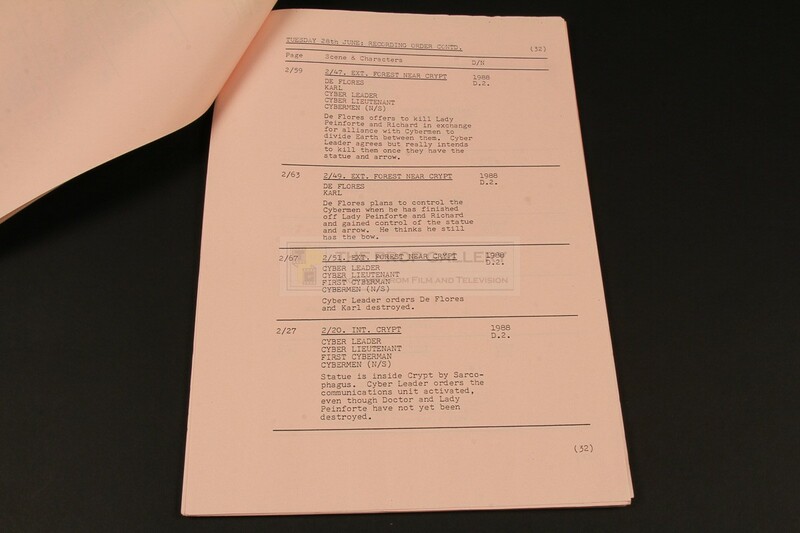 The schedule contains a wealth of information relating to the location filming for the serial on pink pages comprising of distribution and cast lists, useful numbers, details of hotel bookings for crew members and transportation details, this followed by a detailed 60 page recording order detailing the location shooting which took place in June 1988, to the rear are 6 printed maps of the various location sites printed on white paper. The schedule is bound to the top left corner in the same way as a script with a front cover detailing the production staff which is hand signed by writer Kevin Clarke to whom this was issued during the production. 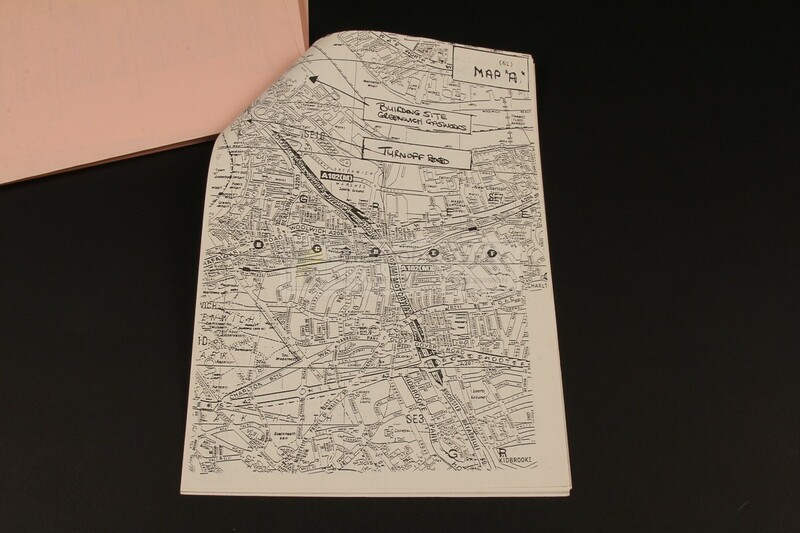 The schedule remains in excellent production used condition with some edge and corner wear from handling, overall very fine. A very rare and interesting production document which offers a fascinating insight in to the production of this cult science fiction series.